Pockets: Side waist zipper pockets. 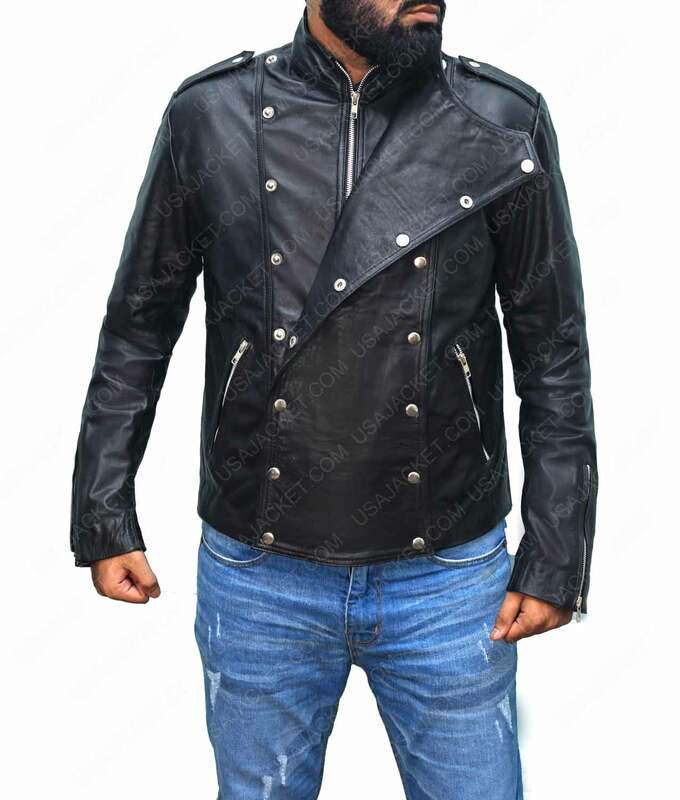 Make your outlooks dominantly bold among all with this seamless Mens Black Double Breasted Jacket that is prolifically tailored from ingenious styling and crafting for smart takeovers. It is skilfully tailored in a riveting fashion as it emulates fine compact looks which you have desired of. The outfit is creatively manufactured from the genuine leather material and unified with the internal viscose lining for soothing touch. 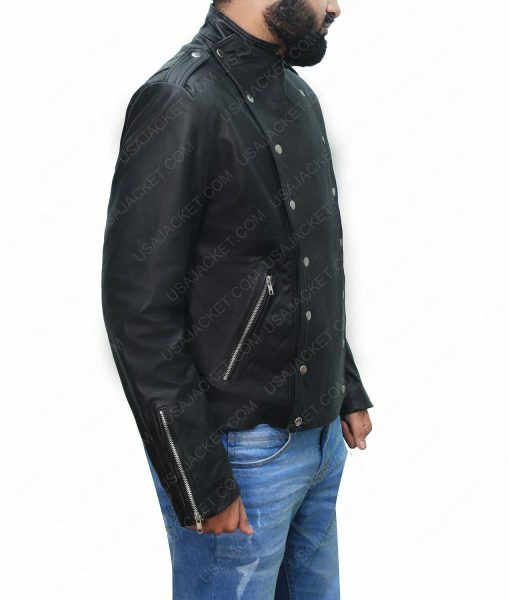 This Mens Black Double Breasted Jacket has been fastened with the unique zipper front with snap detail flap which perfectly make the attires look highly astounding. 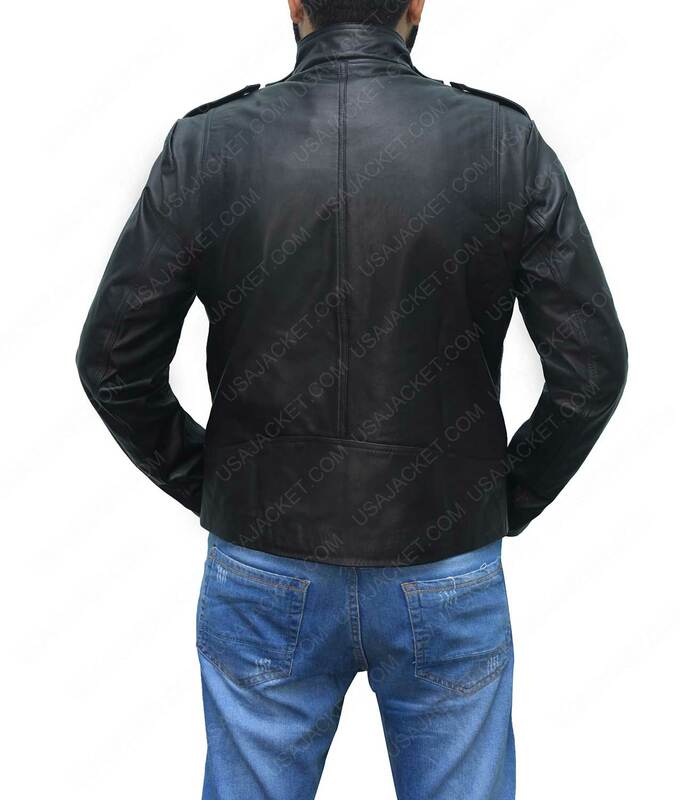 The sleeves are made in full length with creative zipper cuffs, while the pockets outside on the waist side are too crafted in a zipper style for shrewd appearance. It is available in black color with neat and fine stitching formation.